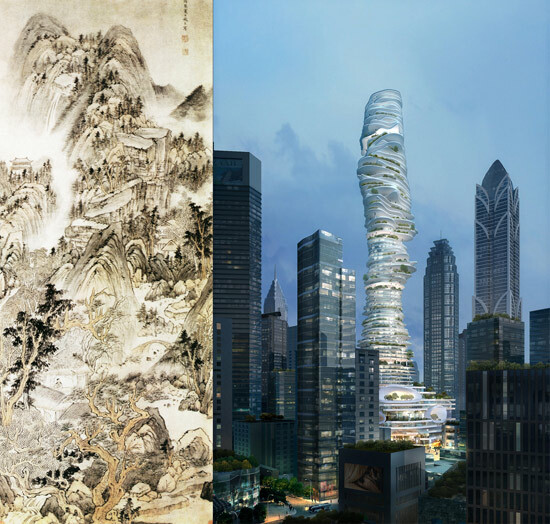 Architectural Studio MAD Architects from China has developed the project called “URBAN Forest”, which became a logical continuation of the mountainous landscape of the country. 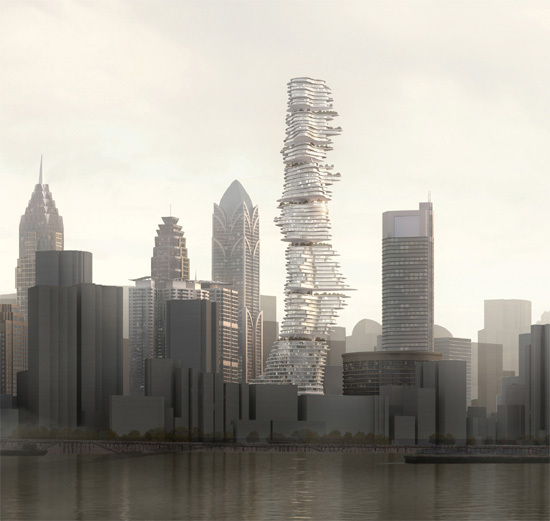 This construction is designed as a cylindrical skyscraper made from multiple floors of different shapes and sizes which have been layered slightly off-center from one another. Each floor has a large glass gallery, which is very convenient to overlook the city panorama. 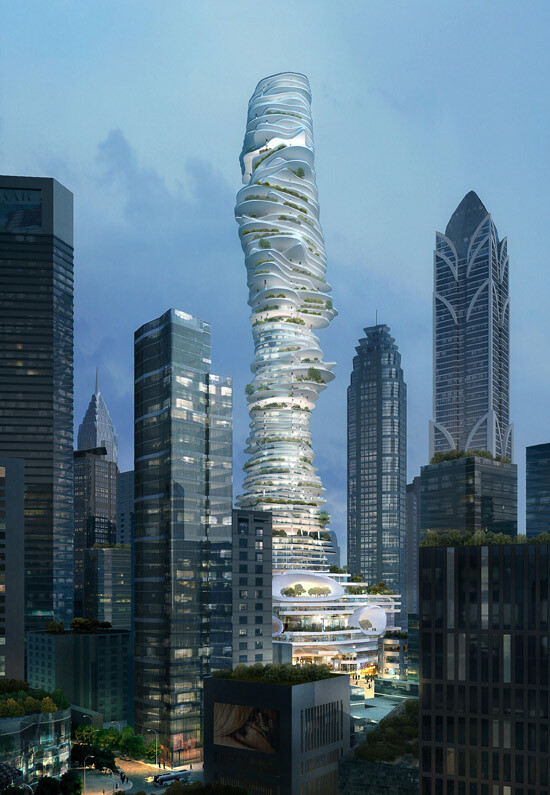 Very spectacular idea but at the same time it’s interesting when this skyscraper will be built. And don’t forget to check Top 20 World’s Tallest Buildings. 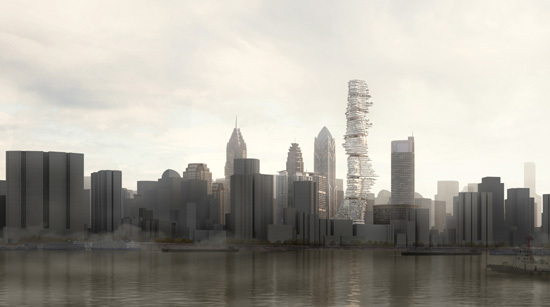 These architects know that trees don’t just grow up, right? This design seems to act like roots don’t exist. I usually love this kind of stuff, but this structure needs some major improvement. Cool concept but it looks horrible. Here is why in my opinion. Each floor takes away from the natural look its supposed to provide and looks incredibly unstable. Like a dieing mutant tree ready to be burned in a brushfire. I think its a great idea that just needs to be re-worked. The engineer’s arch-enemy is the architect. kapan indonesia punya kota hutan? 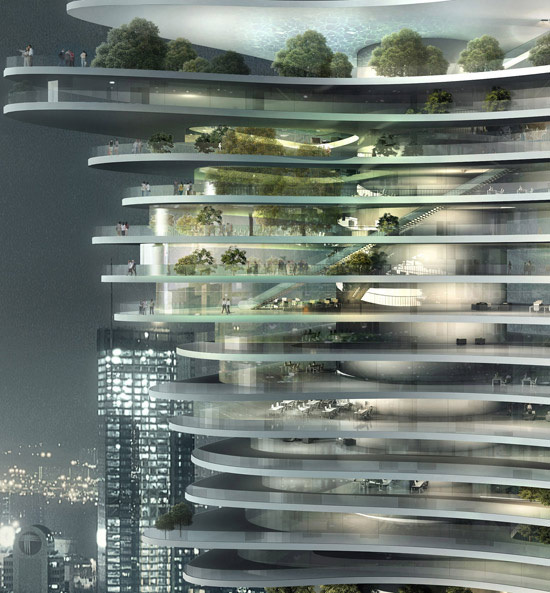 i think the core structure is to thin to contain enough elevators for a builidng this high- and there would certainly not be enough space for the emergency exit staircase and all necessairy water and gas pipes as well as secured electricity lines. also, it probably wouldn’t be very stable but i guess that could be solved. but then again, it appears to be planned that every floor has an outside area, some are mostly outside areas. at such heights being outside would most likely not only be freezing and extremely windy, but I also don’t think that many plants would grow properly, which would be essential, since this appears to be called “urban forest”. but i assume that this was just a concept, and it is a rather nice on at that, i think. Truly unique but still looks pretty unstable to me. Hope it can be real soon. This is a very interesting concept. Good luck to the architects. 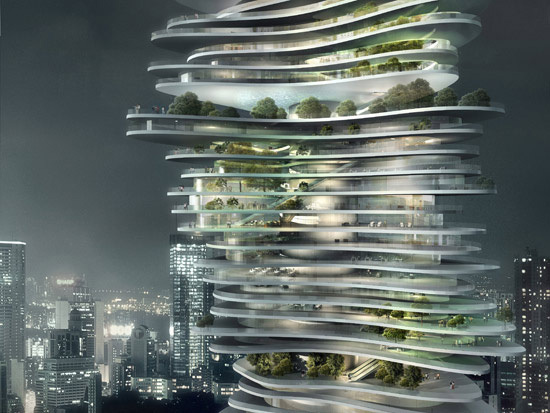 I’m just concerned about the safety of the structure and well, the crazy plants! Looks quite unusual. I’m sure the architects will do their best to make the structure stable despite the odd looking form of it. But odd is good.